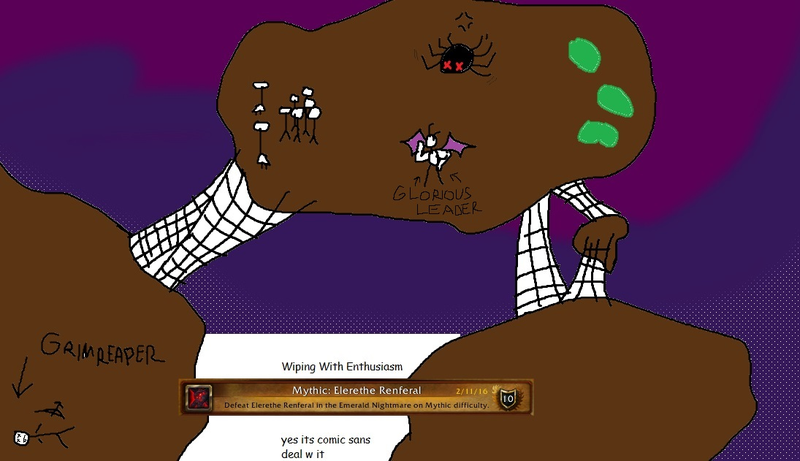 When European World of Warcraft guild Wiping with Enthusiasm missed capturing a screen of its Elerethe Renferal kill during the Mythic Emerald Nightmare raid, their guild leader started documenting their progress using MS Paint. And that is how art is born. Looking through the comments on Kordusain’s Reddit post showing off Wiping’s non-wiping moments, capturing key World of Warcraft moments using the world’s most advanced stick figure drawing program is something of a tradition. 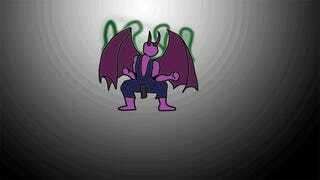 That said, the Street Fighter flair added to Wiping’s raid paintings lends the work a flair others lack. Plus, Paint offers a level of detail and explanation that screenshots lack. Wiping with Enthusiasm completed the Emerald Nightmare on Mythic difficulty this week, so the series draws to a close, the vile lord Xavius falling to what looks like a Raging Demon Hunter. Hopefully the trend continues on whatever adventure Wiping goes on next. They’ve finally got me interested in raiding, if only for the pictures.